Heading down to South Beach is a great idea if you want to visit Miami’s pristine beaches, famous nightclubs, and shopping centers such as the Lincoln Road Mall. The neighborhood also hosts many top-quality restaurants for tourists and locals who want to spend more time enjoying its coastal breeze. If you’re in the mood for seafood, don’t forget to stop by the best seafood restaurants in South Beach, offering you a wide variety of menus with fresh ingredients and unique specialties. It's where the locals eat too! Although the restaurant closes for four months during off season from July to October, Joe’s Stone Crab still manages to stand as one of the most popular dining options in Miami Beach. Its popularity may also be the reason they can afford to take no reservations, so many customers will have to wait to get their hands on the restaurant’s delicious stone crabs. Joe’s has enjoyed a successful run since opening its door over a century ago, in 1913! An upscale restaurant serving a wide variety of meals that range from typical shrimp dishes to Mediterranean delicacies. Apart from the food, A Fish Called Avalon enjoys some of the best mojitos in town and top of the line service. Overall, the restaurant has been considered as one of the best seafood restaurants in South Beach and a SoBe legend for many years. Located on Ocean Drive in South Beach, Santorini by Georgios specializes in bringing you the best Greek cuisine with only the freshest ingredients. Popular choices include their savory shrimp, lobsters, and steaks. The restaurant also serves other dishes, such as tacos and pizza, that cater to practically everyone. Santorini enjoys a casual atmosphere with indoor and outdoor settings that make it a perfect dining spot for any occasion. Milos Miami is the fifth establishment from famed chef Costas Spiliadis, with other locations in London, Athens, New York, Montreal, and Las Vegas. Estiatorio Milos is known as an incredible Mediterranean culinary experience with elegant décor and quality food that’s hard to match. The many seafood options encourage you to create your own menu, as the fish market changes on a daily basis. The restaurant also offers a cozy bar, as well as a wine list and a wide selection of popular cocktails. Contrary to other restaurants in the city, Chalan on the Beach doesn’t need any fancy decorations or gimmicks, it lets the food speak for itself. Chalan brings customers a taste of the Peruvian culture that has become so famous in the culinary world these past few years. Their homestyle dishes include ceviche, shrimp stew, and other unique creations. After enjoying the main course, remember to try out their amazing desserts. Pubbelly Sushi serves an array of Asian treats in small plates, which is awesome if you want to share with your friends and try different things. A few notable items on their diverse menu are the tuna pizza, rock shrimp roll, and grilled octopus. Along with the restaurant’s cool pub setting, Pubbelly Sushi allows customers to come in for the food and stay for the fun! 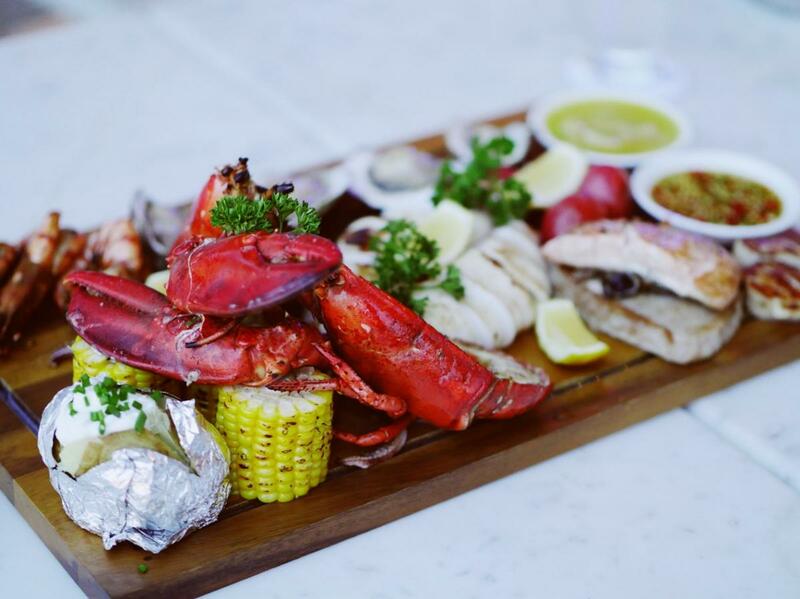 Whether you’re in town for the beaches or the amazing sights Miami has to offer, remember to stop by the best seafood restaurants in South Beach for fresh dishes you won’t forget. If you liked any of the options listed above, let us know in the comments below. Be sure to sign up at 305area to stay up to date with the best restaurants in Miami. We're your free guide to all the fun things to do in Miami!